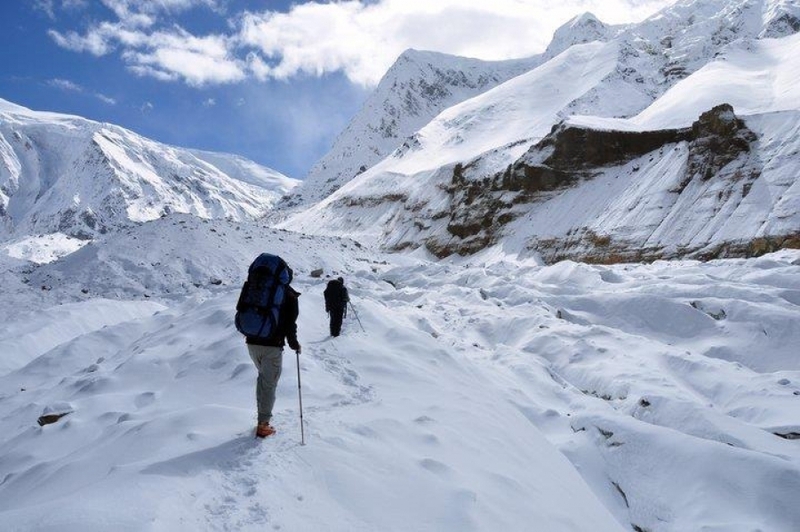 Dhaulagiri offers challenging trekking in dramatic landscape that includes the world’s deepest gorge (Kali Gundaki) and seventh highest mountain (Mount Dhaulagiri, 8167m). In fact there are 15 peaks above 7000m and the views from the area, in particular Juljala Viewpoint, are breathtaking. Trails pass through cultivated fields, dense forest and the largest blacksmith village in Nepal. On the way, you are likely to encounter yak herds and blue sheep; the uniquely dressed, hardworking Magar people greet passers by with jovial warmth. Treks are difficult and long, lasting for 7-20 days or more in remote, high altitude areas. They requires technical skill and some experience; you and your team need to be physically fit, well equipped and be able to work well together. We offer several different treks in this area – on the Round Dhaulagiri Trek you can pass through the Hidden Valley to go skiing. Others available are Dhorpatan Eco Trek, Gurja Himal, Dhaulageri Ice Fall and Jaljala. Whatever trek you choose expect risk, adventure, a huge sense of achievement and amazing, high altitude views.